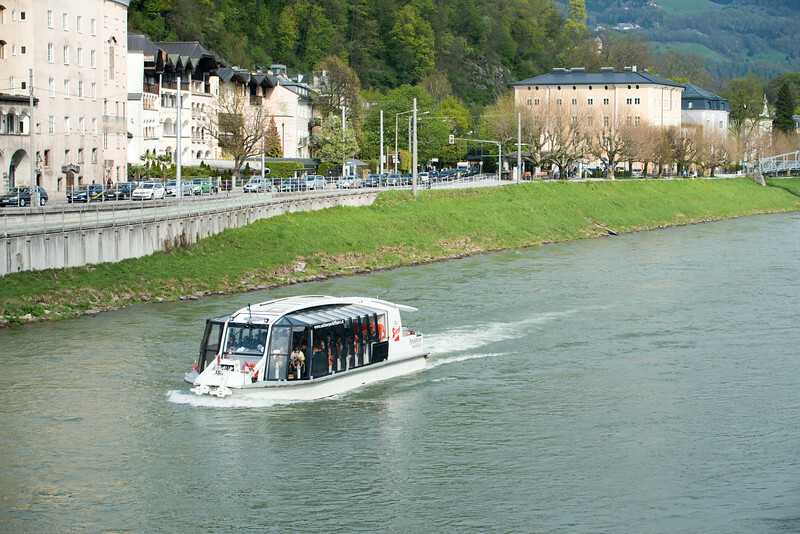 Salzach Cruise is very popular. 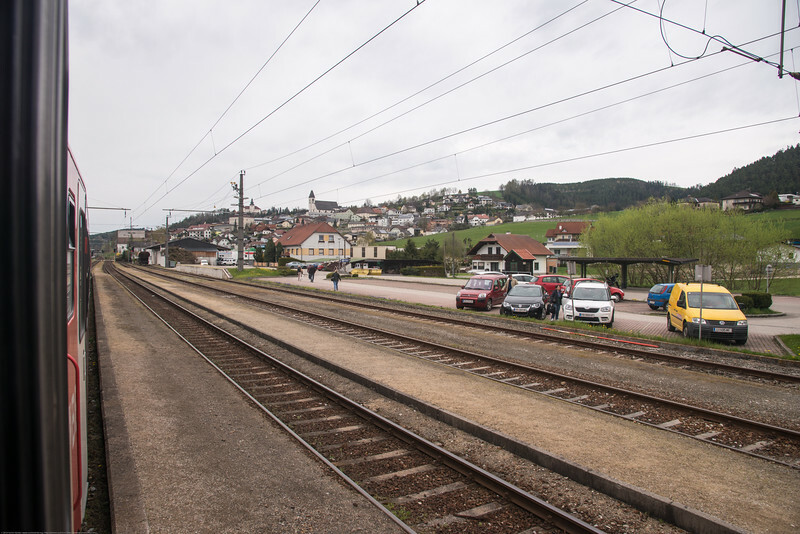 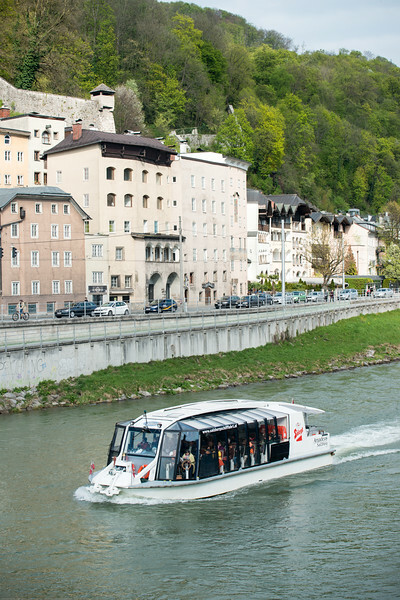 It offers passengers an extraordinary view of the city and its scenic vistas. 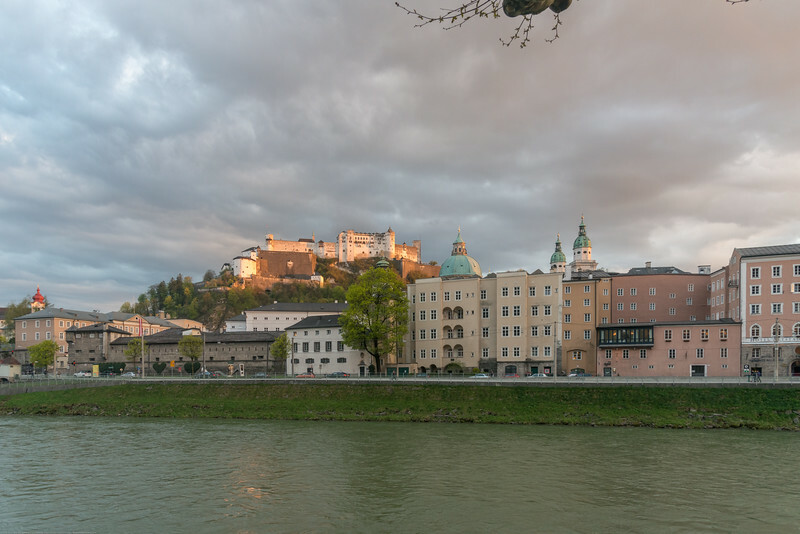 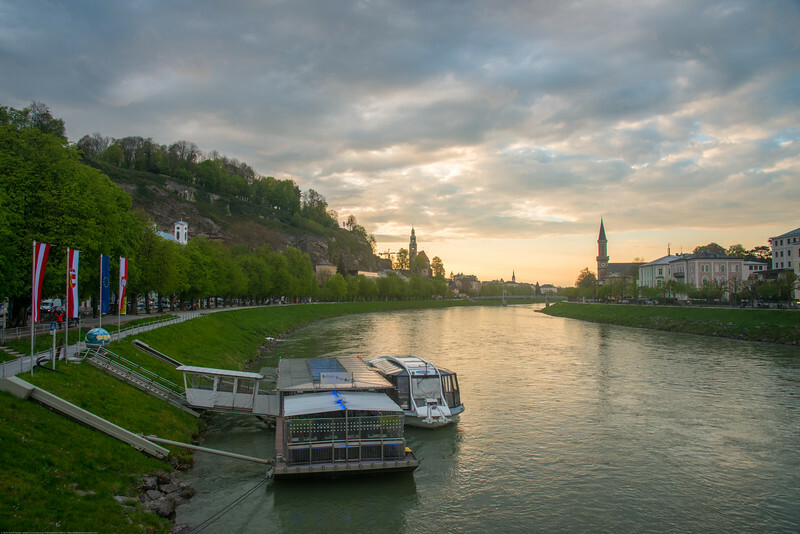 The cruise starts at the Makart Bridge in Salzburg's historic city center and continues on a leisurely 8-kilometer cruise along Salzburg's magnificent cityscape towards Hellbrunn with a view of the stunning mountain ranges in Salzburg. 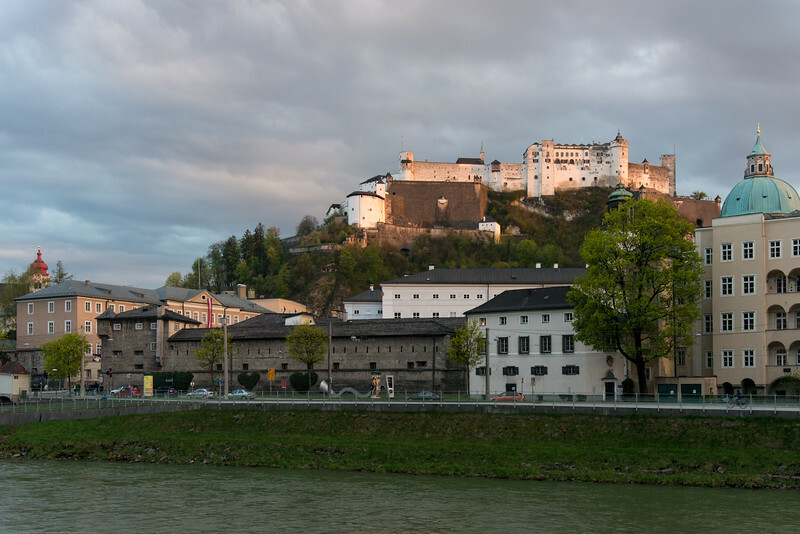 Cycling is very popular in Salzburg. 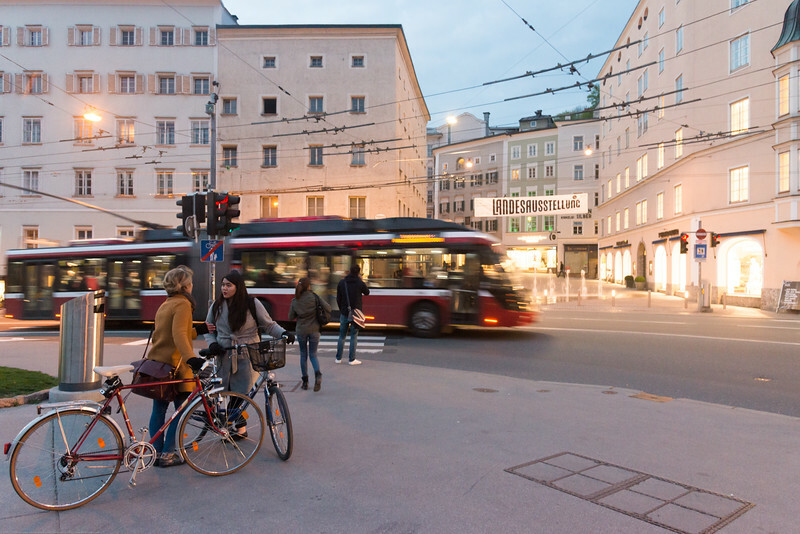 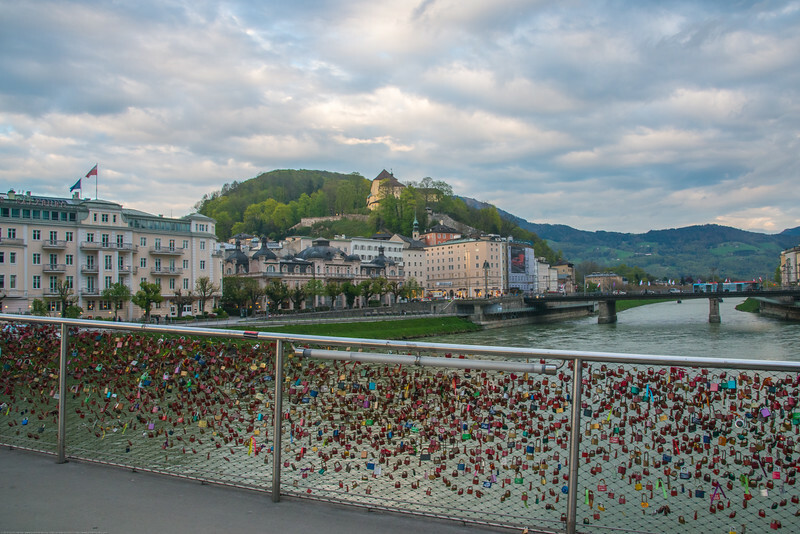 The bicycles have access to all the squares and sights of Salzburg. 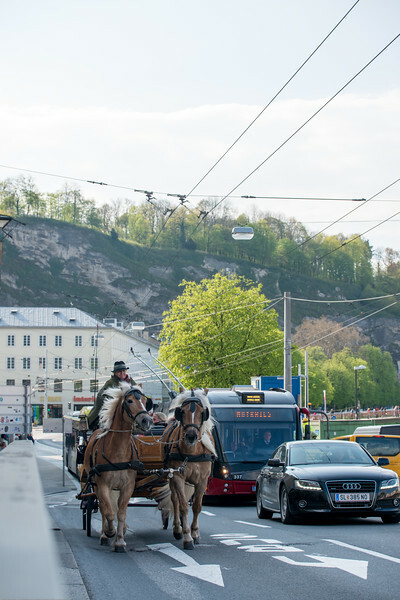 The best way to get around Salzburg is on foot. 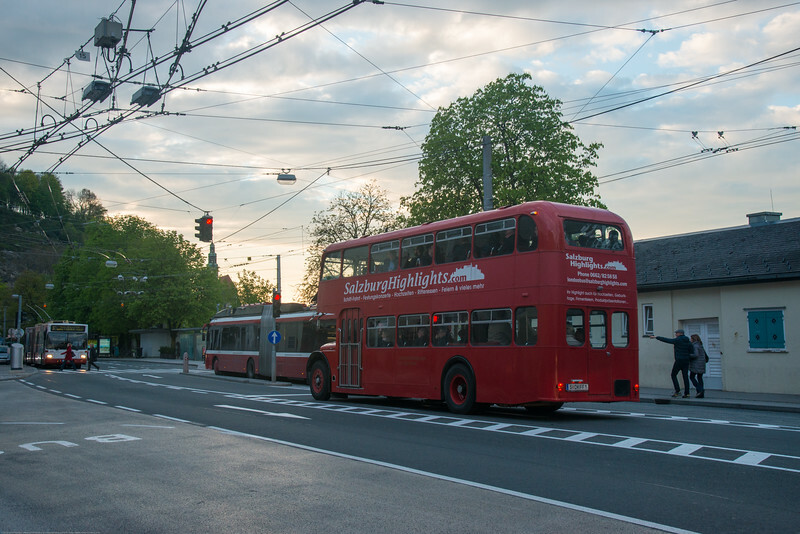 There is a network of city buses, the StadtBus, with numbers from 1 to 8 (trolleybuses) and 20-27 (diesel buses). 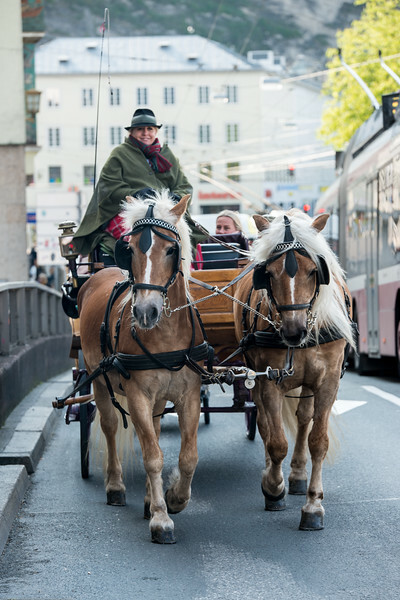 Tourists love to take the old fashioned horse carriage to tour the central areas of Salzburg, Austria. 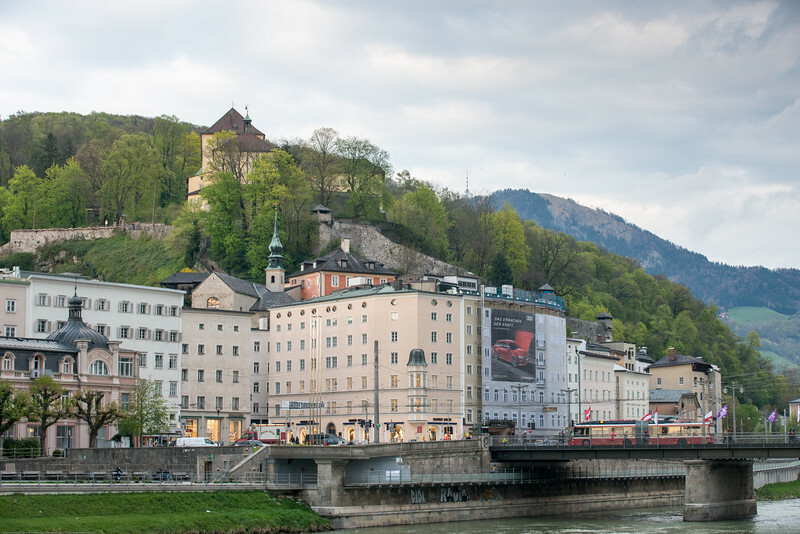 Common to see tourists taking selifes in Salzburg, Austria. 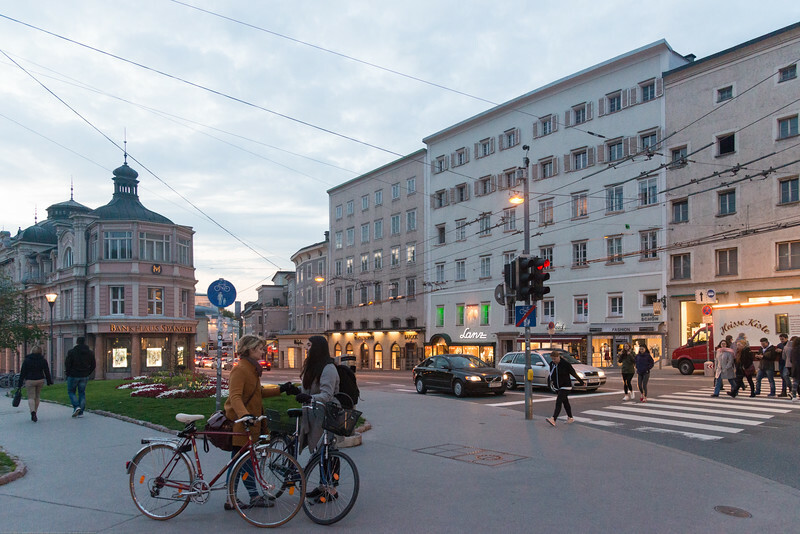 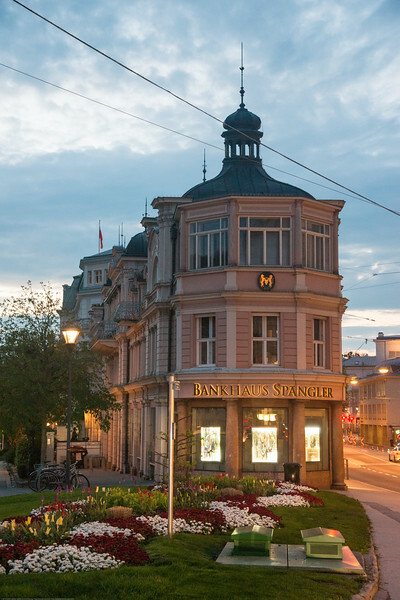 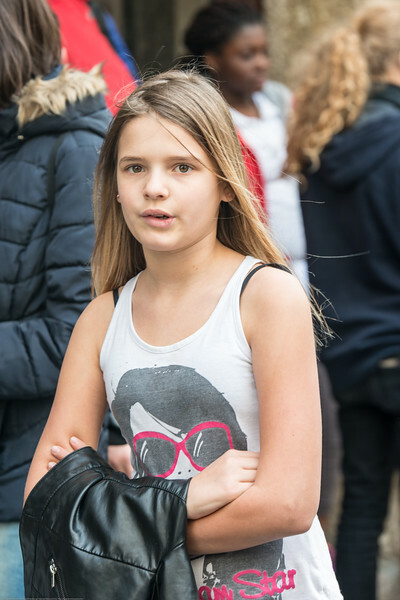 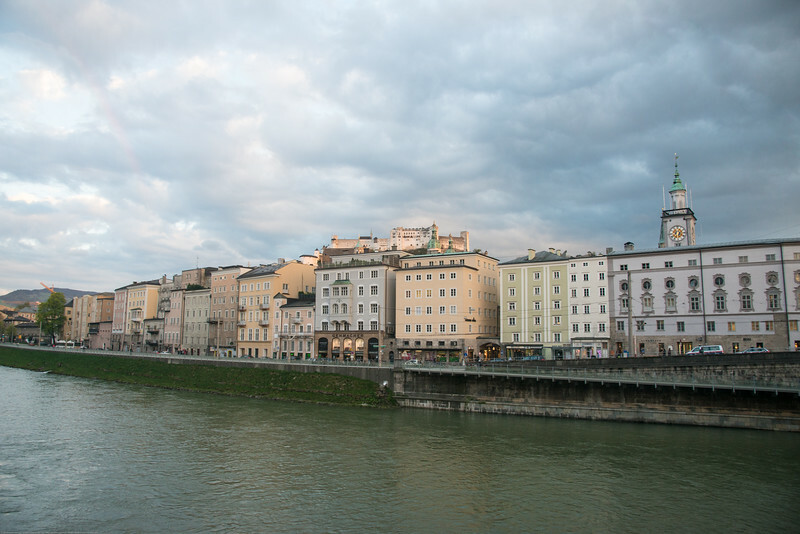 A fairly young crowd is seen in the city of Salzburg, Austria and there is a great sense of safety and comfort. 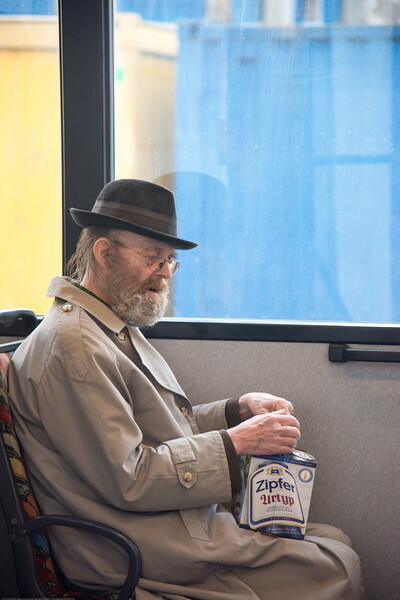 Old gentleman in the bus in Salzburg, Austria. 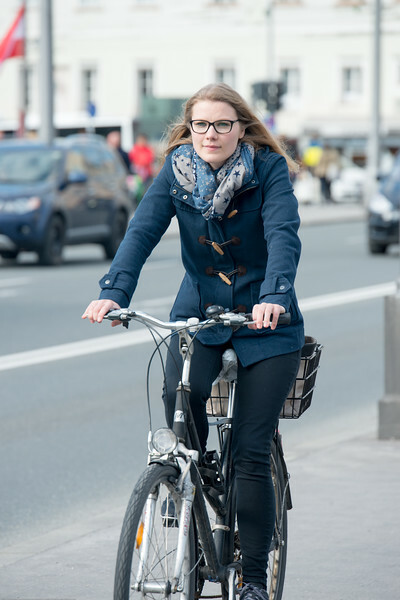 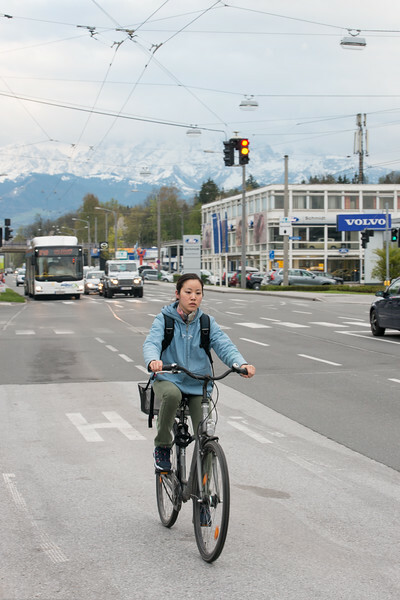 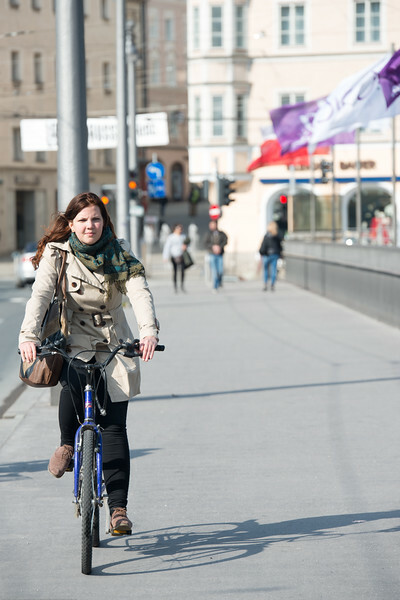 While cycling is very popular in Salzburg. 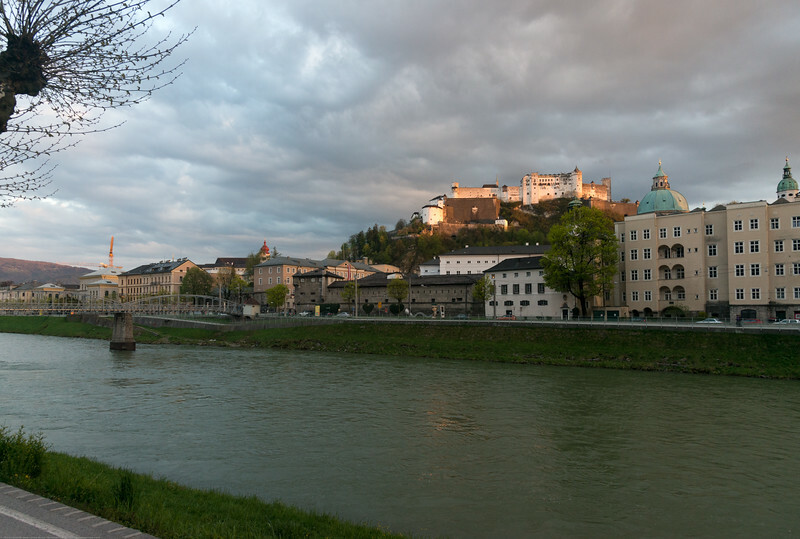 The best way to get around Salzburg is on foot. 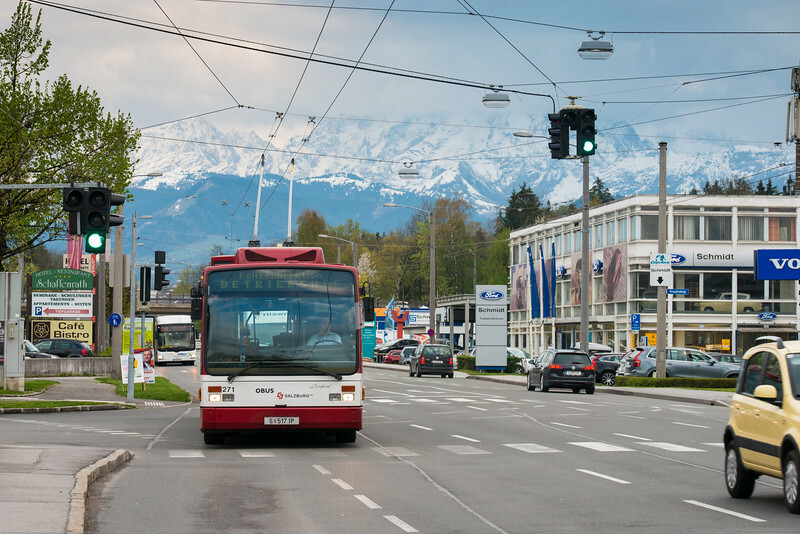 There is a network of city buses, the StadtBus, with numbers from 1 to 8 (trolleybuses) and 20-27 (diesel buses). 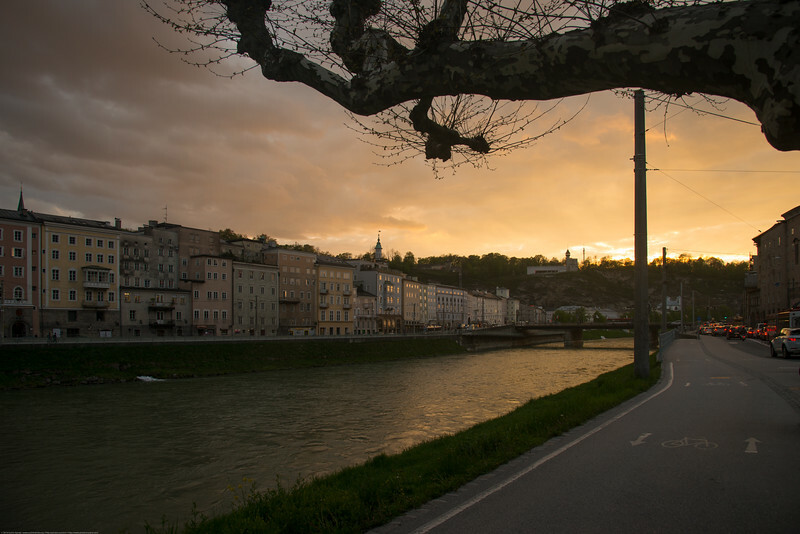 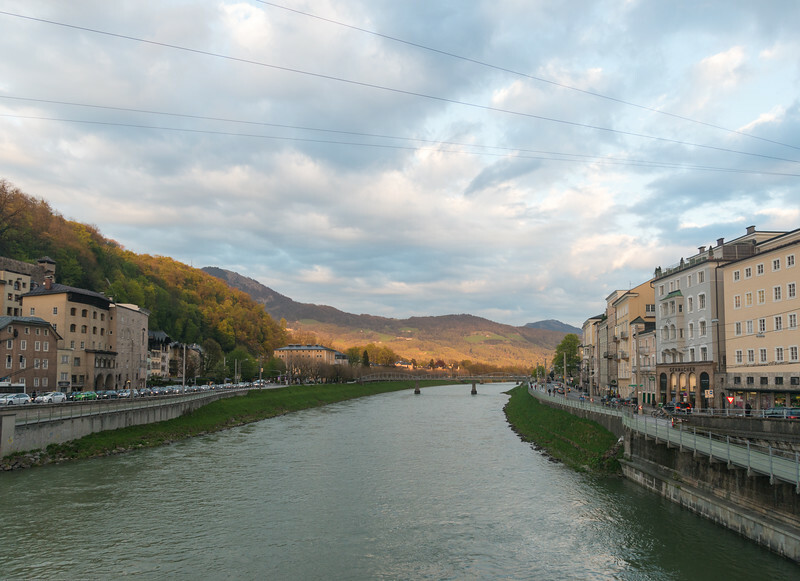 Evening light over the river Salzach in Salzburg, Austria. 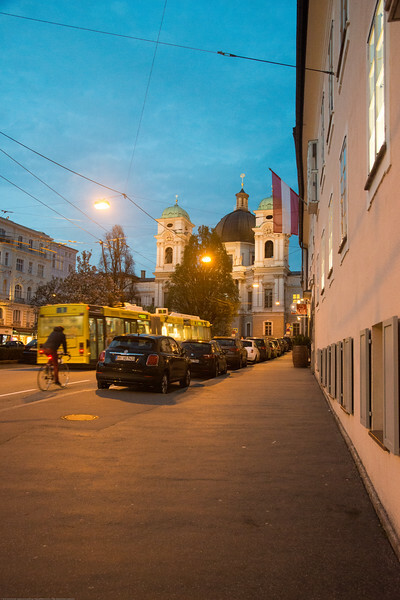 Salzburg Highlights Bus in the city of Salzburg, Austria. 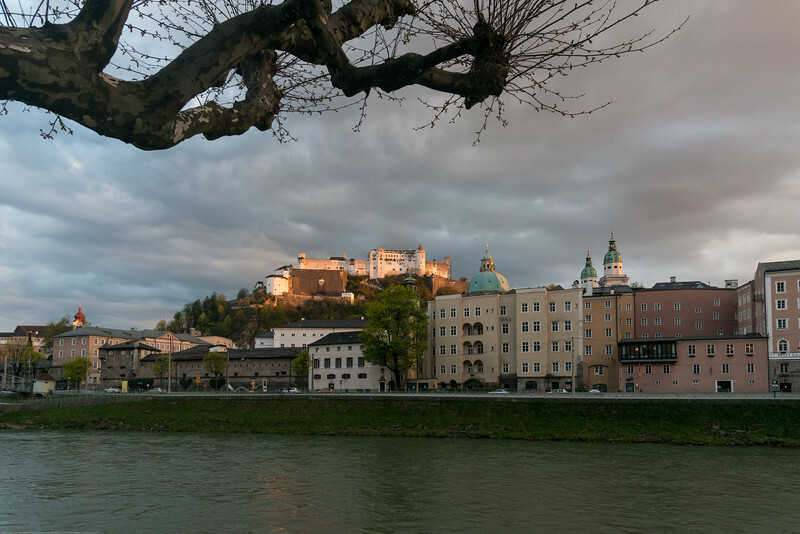 Beautiful evening light over Salzburg, with the river Salzach in the foreground. 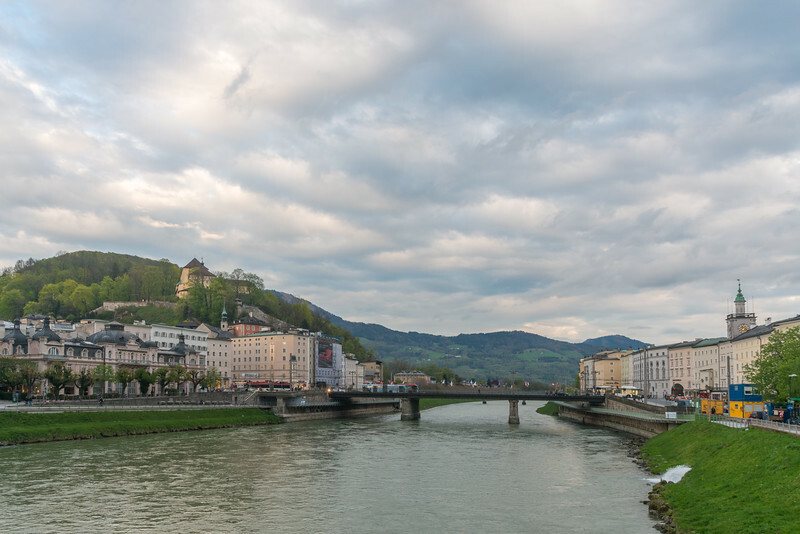 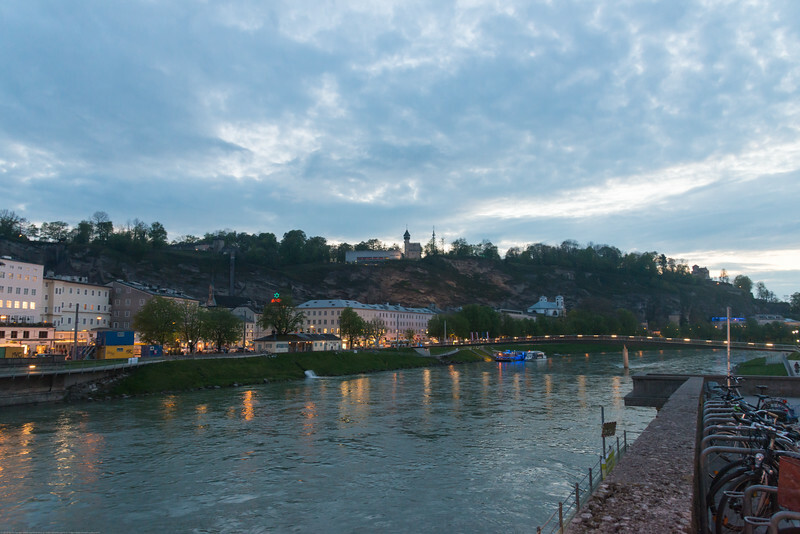 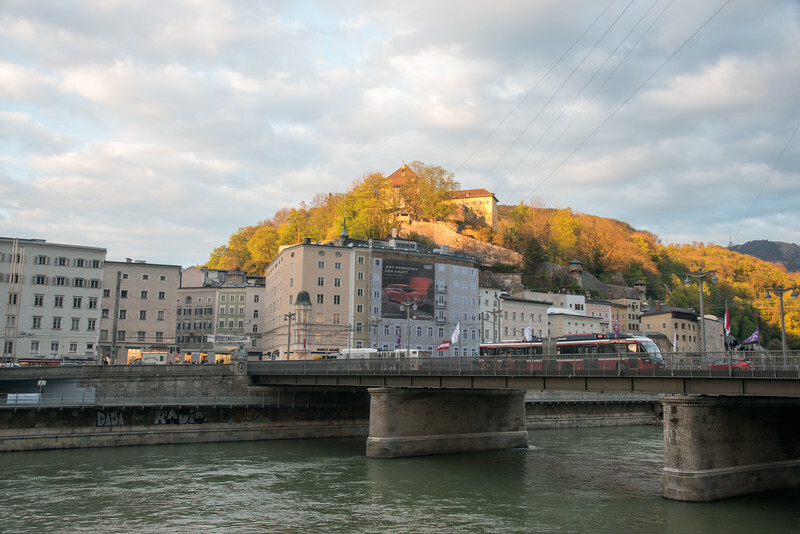 Panoramic view of Salzburg, with the river Salzach in the foreground in the late evening hours. 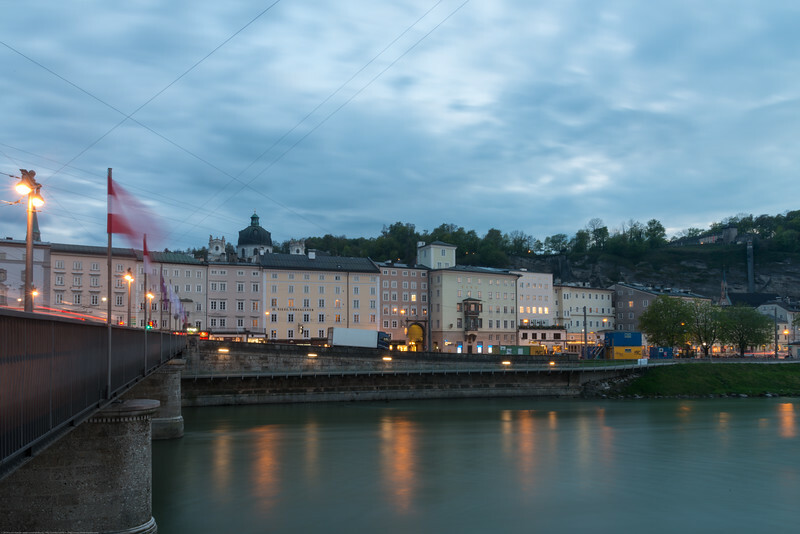 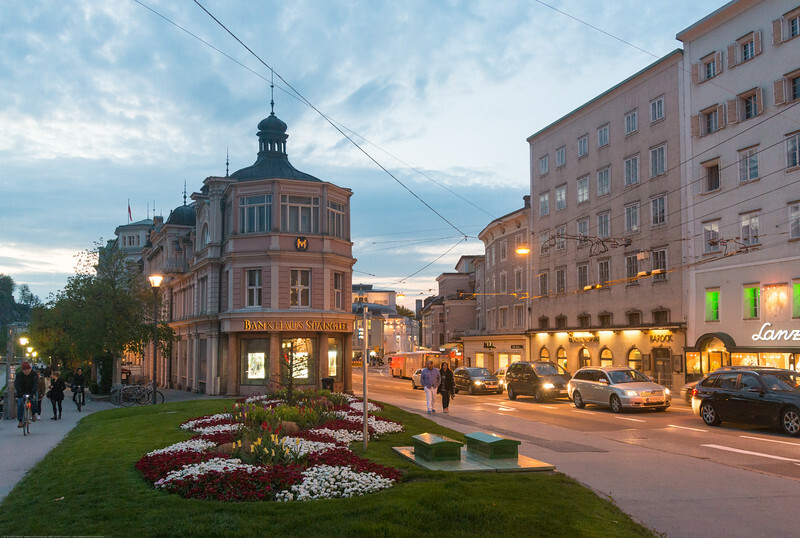 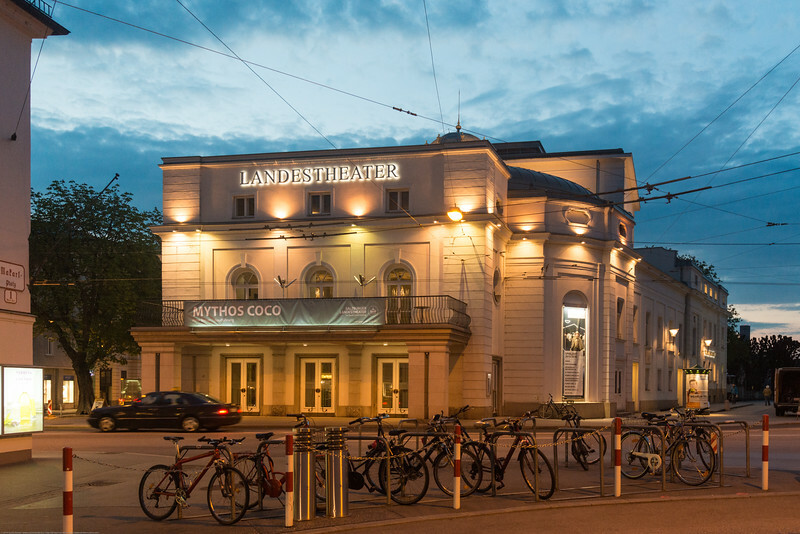 Panoramic view of Salzburg in the late evening hours. 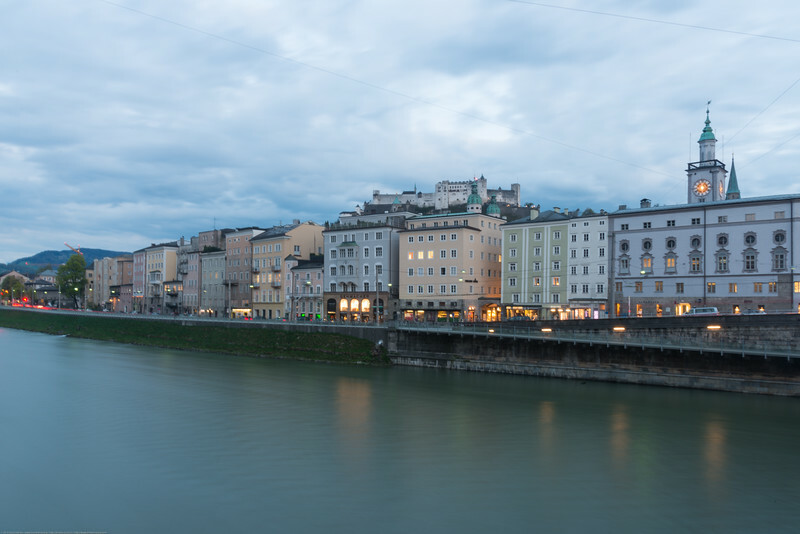 Lovely panoramic view of Salzburg, with the river Salzach in the foreground in the late evening hours. 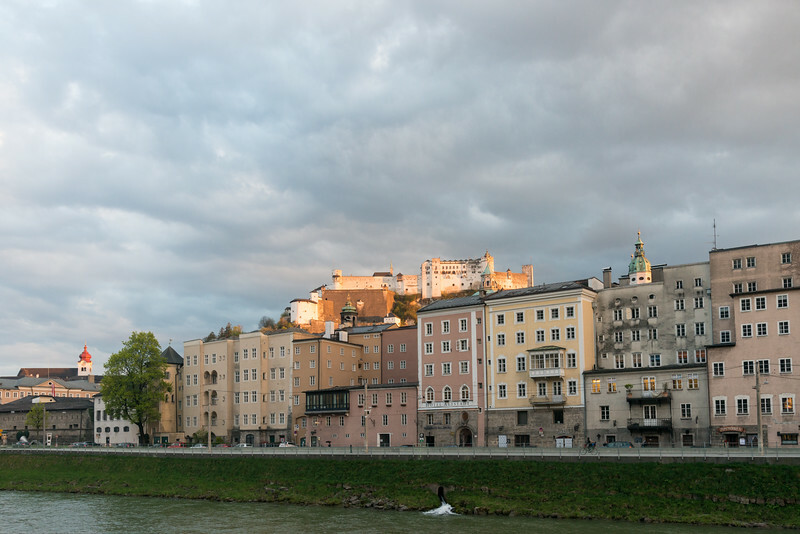 Golden hour in the city of Salzburg, Austria. 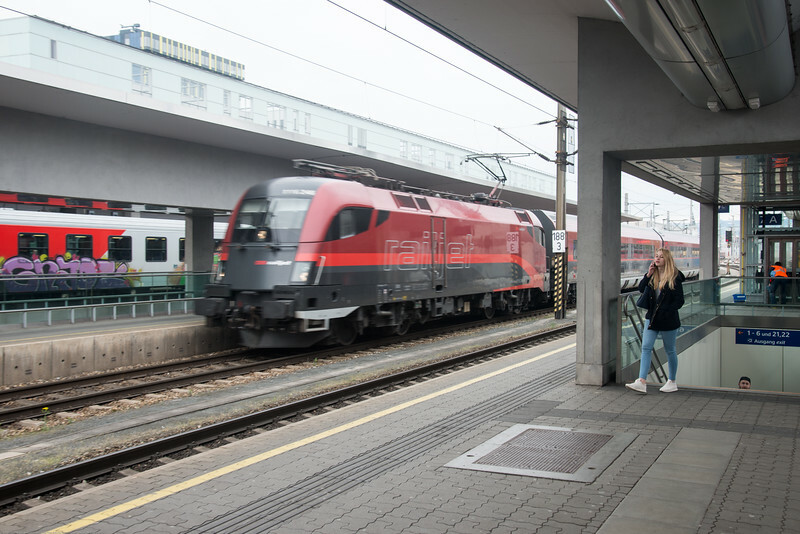 Linz railway station enroute Salzburg, Austria to Prague, Czech. 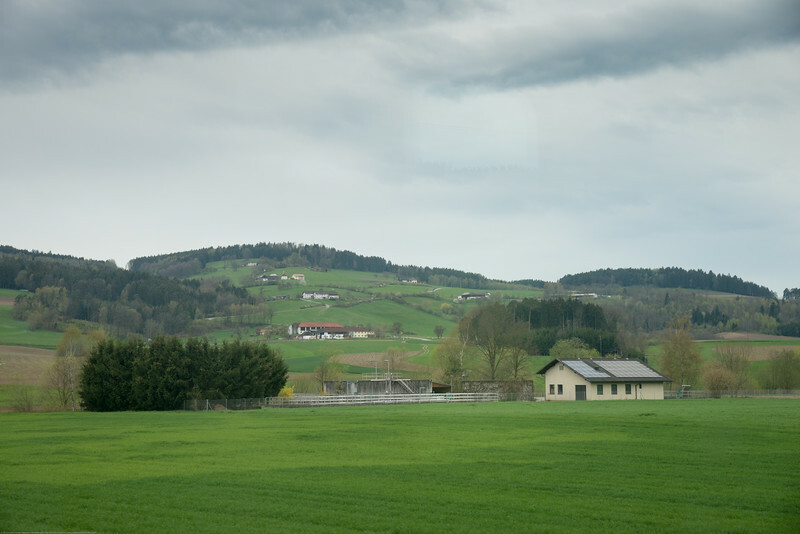 On the train from Salzburg, Austria to Prague, Czech.